It’s that time of year again! Before we know it, Virginians will head to the polls to elect statewide leaders—Governor, Lieutenant Governor and Attorney General—as well as Delegates to represent them in Richmond. In our culture of heated political mudslinging, 10-second sound-bites and “gotcha” political ads, it can be hard to sift through the rhetoric and make informed decisions about which candidates best represent our interests. As Catholics, we are called to active participation in political life. The Bishops’ document on Faithful Citizenship reminds us that the Church does not tell Catholics for whom to vote. However, our faith does provide guidance in properly forming our consciences and applying Catholic social teaching to a variety of policy issues. As Catholics, we are called to bring our faith into the voting booth in ways that uphold the dignity of life and marriage, defend religious freedom, advocate for the needy, protect God’s creation and advance the common good. To help Catholics in the Commonwealth as they prepare to vote, the Virginia Catholic Conference has invited all candidates for statewide office and in contested House of Delegates races to complete its candidate survey, which seeks candidates’ positions on a wide range of issues. This survey is not a scorecard or a voter guide, but is instead an opportunity for candidates to share their positions on issues important to Catholics in Virginia. The survey was mailed to candidates on July 31, with a request to respond by Friday, September 20. 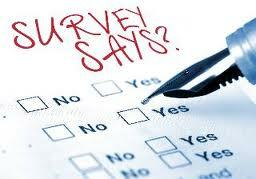 In October, the Conference will post responses to the survey on its website . The two diocesan newspapers – the Arlington Catholic Herald and the Catholic Virginian – will also inform their readers about the candidate survey responses, and 226 Catholic parishes across Virginia will have the opportunity to download and copy this response chart for parishioners. This fall, the Conference looks forward to sharing with you candidates’ responses, as well as other materials designed to help Catholics form their consciences and gather information before they vote on November 5th. Let’s exercise our faithful citizenship this campaign season and every month of every year.